Note: credit “Arranged by Ross W. Duffin” and please email microloguspress@gmail.com with performance information. In researching a program of historical American choral music for Quire Cleveland, I decided to find an early choral version of the national anthem. In this, I was inspired by a visit to the Smithsonian Museum of American History for a look at the Banner itself. The display also included a manuscript copy of Francis Scott Key’s 1814 lyrics, and I was struck by a few wording differences from the version we all sing. Further investigation found that Key made several manuscript copies for friends and, unintentionally perhaps, sometimes made slight changes from what he originally wrote. The original version is thought to be the one held at the Maryland Historical Society, so those were the lyrics I decided to use — and to use all four of the original verses, rather than just the one which is sung today: a task made easier by the original performance indication, “Con spirito!” Three verses were still being sung at the National Peace Festival in Boston, in June 1869, so perhaps the establishment of the piece as the national anthem in 1931 caused the use of other verses to be discontinued. I know one person here in Cleveland, OH, who can recite all four of Key’s verses by heart, but this is probably due more to an avid second grade teacher than to ever hearing them sung! I also discovered that there are no arrangements of “The Star-Spangled Banner” for SATB chorus until much, much later in its history. There were accompanied solo versions published in Philadelphia and Baltimore within a few months of Key’s writing of the lyrics, setting them to the tune of “The Anacreontic Song” by Englishman John Stafford Smith. 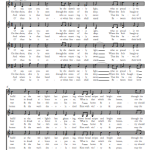 I decided to use those two early piano-vocal arrangements, combined with 1779 and 1799 versions of the Anacreontick Song, to create a new “original” choral version of “The Star-Spangled Banner.” The result is this arrangement for SATB chorus (with a small number of divisi passages). The goal was a version that might have been heard in 1815, if a choir had wanted to sing the complete piece a cappella. So this is not a historical version in the sense that it has survived from early manuscript or printed copies, but it is based on the early musical resources and created to fit the forces of a modern mixed choir. Choral directors and others are welcome to download my edition for use as they please, with appropriate program credit, i.e., “Arranged by Ross W. Duffin.” A message logging each use to microloguspress@gmail.com would also be greatly appreciated. I hope that choirs today enjoy singing “The Star-Spangled Banner” in a manner that brings us a little closer to the song that moved Americans in those early years after Francis Scott Key’s momentous inspiration. 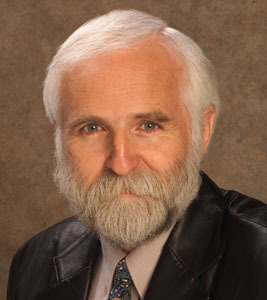 Professor Ross W. Duffin was known for many years as the lively, informative host and producer of Micrologus: Exploring the World of Early Music, on National Public Radio from 1981–98. A native of London, Canada, he received the Bachelor’s degree from the University of Western Ontario, then attended Stanford University for his Master’s and Doctorate. He is now Fynette H. Kulas Professor of Music at Case Western Reserve University. StarSpangledMusic.Org is a project of the not-for-profit Star Spangled Music Foundation. It is administered by Professor Mark Clague (University of Michigan) and Dr. Susan Key, a musicologist of American music who resides in California. This entry was posted in Arrangements, Choral, Free Sheet Music, SSB Videos, The Anthem. Bookmark the permalink.